Kombucha 101 – Moms, For Real. Canadian Mom Bloggers. Real Healthy Living. It also helps reduce candida yeast and overgrowth of bacteria that is harmful to your organs and mental health. Many people attest to it clearing up physical pain of the guts and digestive, to clearing brain fog and lethargy associated with mental health and auto-immune disorders. 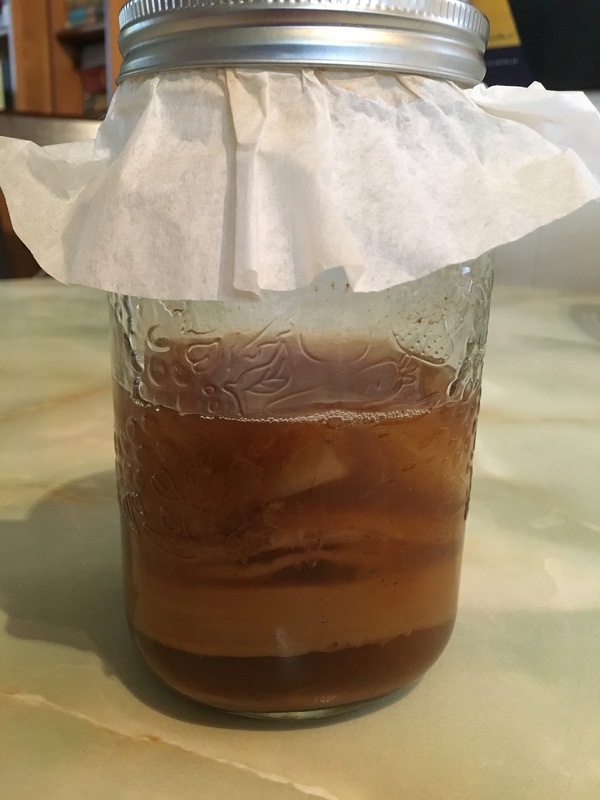 The term Kombucha and SCOBY were both coined in the 90’s by an amazing guy named Len Porzio – you can check out his site here, to gain some more useful information! HOW DOES IT FERMENT AND GROW?? 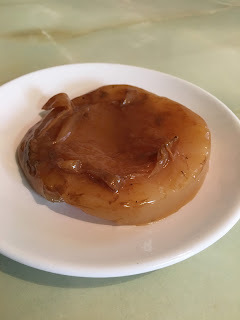 It uses a mushroom-like, flat disk of culture called a SCOBY. WHY SHOULD I DRINK THIS STUFF?? One word: probiotic culture. You know that yogurt you eat? Ya, that’s a probiotic culture too! But even better as it is dairy free. 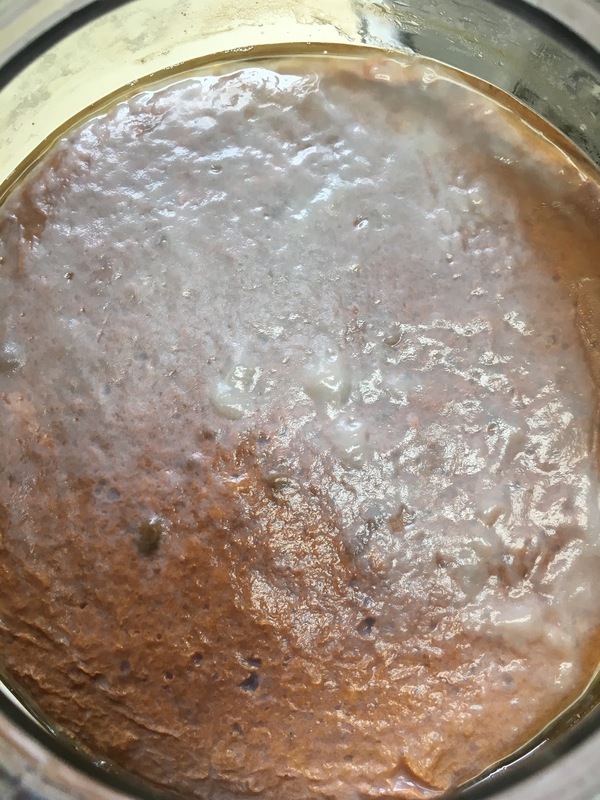 “Probiotics, healing allergies IBS and digestive issues, improving joint pain… There are so many benefits to consuming fermented foods but finding true live ferments can be difficult and costly. Yes, Sandor, Yes it would. WHERE DO I GET THIS SCOBY, YOU KEEP TALKING ABOUT??? Find a friend who’s made it. Every batch of Kombucha you make, grows another baby SCOBY. Get one from us if you’re in the area. Use a store bought bottle of Kombucha – all the little bits that settle in the bottom can be used with a new batch of tea (see recipe) to grow your own SCOBY. 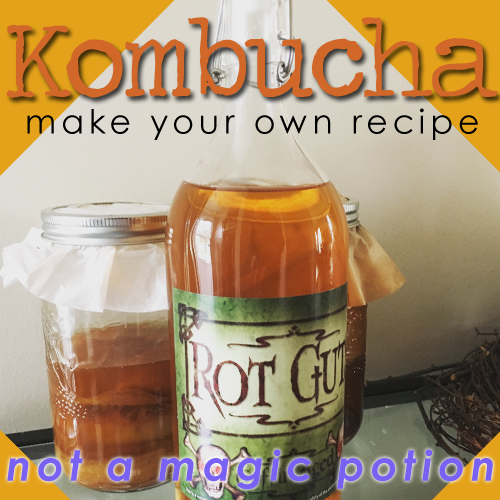 Without Further ado, here is a very basic, and broken down recipe for Kombucha. 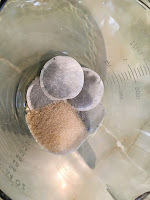 Brew a very strong black organic caffeinated tea (earl grey, black tea, green tea). 4 cups of water to 4-5 bags, or the equivalent of two pots. Steep for a few hours in a GLASS bowl or receptacle. Do not use herbal teas, especially any with essential oils. 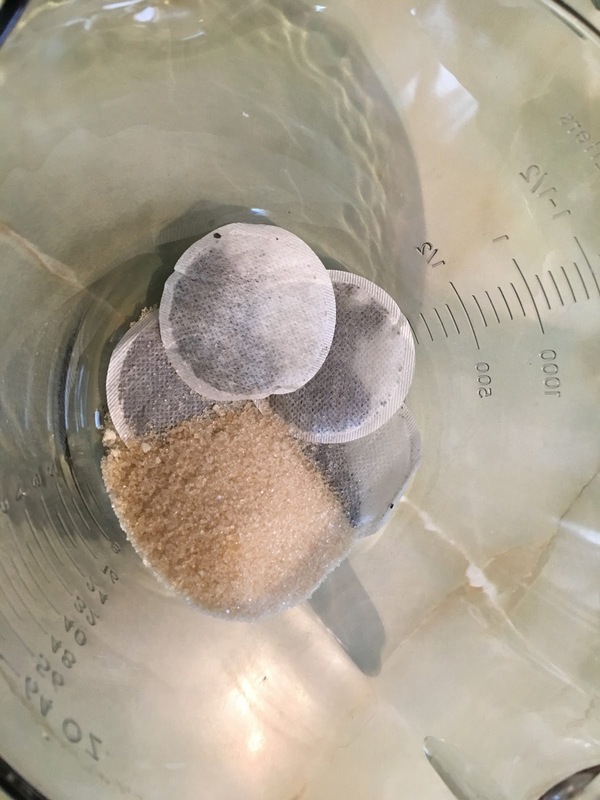 Add organic granulated sugar 1/3 – 1/4 cup. Do not use honey as is has anti-bacterial and anti-microbial qualities. Note: I need you to stop for a moment. The glass jars or containers you are about to use need to grow bacteria. Did you wash them? Did you wash them with anti-bacterial soap or dish-washing liquid? I want you to do something crazy – don’t wash them. If you must; rinse. I know it’s hard. But this is all for the best. Cover with a paper towel, breathable cloth towel, or coffee filter and use a string or elastic to fasten around the top. Note: During this process you will see floaty bits, snot-like substance forming on the top, this is totally normal! 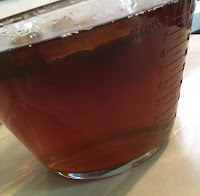 In fact you should begin to grow a second SCOBY on the surface. 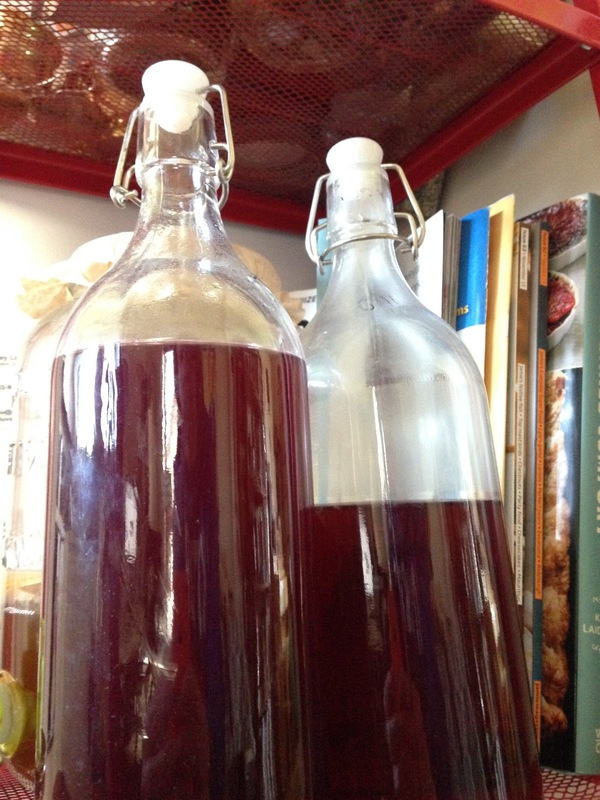 The longer you leave your Kombucha to sit, the stronger, less sweet, and more vinegary it will become. 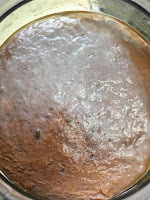 In the sealed containers allow to sit another 2-7 days. Note: Do no open while warm as you may end up with a Kombucha shower! You may also filter your drink if you have too many floaties. Disclaimer : We are not doctors. DO NOT stop taking any meds because we told you to drink Kombucha. Consult with your practicing physician or dietician before using Kombucha. We love all of you, but we are not going to be held liable because you went and did something stupid. Consult a Holistic Dietician or Doctor of Homeopathy for more information. Chances are: your regular doctor won’t know much about anything natural, holistic or alternative.